The Richard Linn American Inn of Court welcomes you to its website. The mission of the Linn Inn is to foster the American Inns of Court’s guiding principles of professionalism, ethics and civility in the practice of intellectual property law. The Linn Inn is one of the twenty-two American Inns of Court in the United States and in Japan that focuses on intellectual property. The Inn members meet each month to discuss timely substantive issues and to break bread together and learn from each other in a collegial atmosphere. 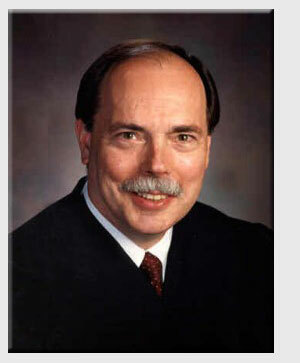 Our Inn is honored to bear the name of Judge Richard Linn of the United States Court of Appeals for the Federal Circuit. Judge Linn has been a champion of ethics, civility and professionalism throughout his career in the law and an active supporter of the American Inn of Court movement for over a decade. He took the initiative in 2008 to form the Linn Inn Alliance to facilitate the sharing of program materials among IP-focused Inns, to open attendance at IP-focused Inn meetings to all members of other Inns in the Alliance, and to foster the expansion of the American Inns of Court movement within the intellectual property community. - © - The Richard Linn American Inn of Court 2018 all rights reserved.